For the lover of wilderness, Alaska is one of the most wonderful countries in the world. We arrived at Ted Stevens Anchorage International Airport on a late Friday afternoon. Among five international airports, Anchorage Airport enjoys the fame of the largest and most heavily trafficked airport in the state. Most domestic and international flights will have their first stop in Anchorage. And for most travelers this city will be their final destination. Why Anchorage? Being the biggest city in the state, this Alaska’s gateway, nested on Cook Inlet, introduces you to the Last Frontier like no other places. 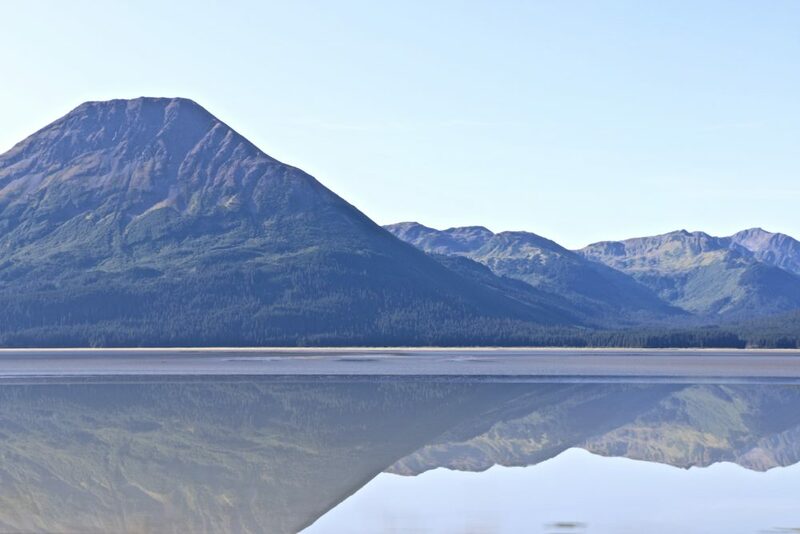 Along with one of the best climates in the state, Anchorage boasts an abundance of wildlife, astounding national parks in close proximity, and famous glaciers just a short drive away. Doesn’t it sound like the best place for your next adventure? Then let us jump on the bandwagon and explore seven must see outdoor places in and around Anchorage. Eager to start exploring the city and its surrounding areas from the very first minute you step out of the airport? Trust me, you are not alone here. The best is to take a stroll, hike, or even bike down the Tony Knowles Coastal Trail (it is all up to your pace and favorite way to explore the outdoors). 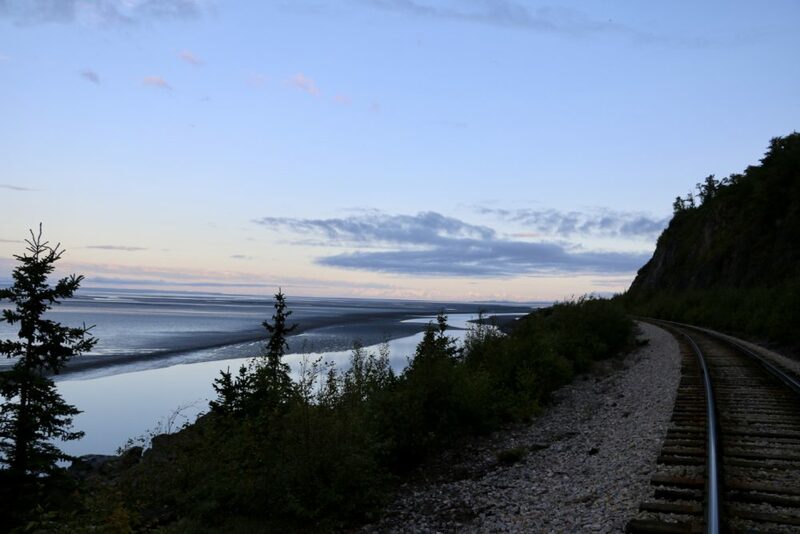 Named after the former governor Tony Knowles, this costal paved trail spreads for 11 miles, winding from Second Avenue in downtown Anchorage to Kincaid Park, and ensures the best views of the downtown area; the Chugach Mountains; Denali, the tallest mountain in North America, formerly called Mount McKinley; Mount Susitna or else known as Sleeping Lady due to its resemblance to a recumbent woman; and Fire Island, a 5.5-mile long island located a short distance from the head of the Cook Inlet. On top of that, the Tony Knowles Coastal Trail provides a perfect opportunity to observe beluga whales, leisurely swimming on the surface during the summer months, or encounter moose, sneaking out of Kincaid Park in winter. Does nature with its astounding landscapes intersected by towering mountains and salmon-packed rivers call your name? 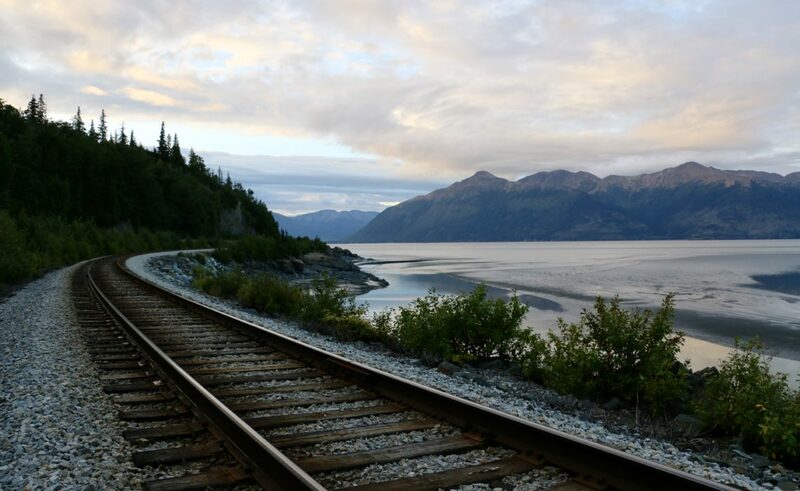 If so, then Alaska Railroad will fully accommodate you in fulfilling this duty. Covering 470 miles of the railroad, the train, transferring over half a million passengers a year, starts its journey in Seward and, making stops in such prime locations as Anchorage, Whittier, Girdwood, Denali National Park, and half a dozen other accessible-only-by-train picturesque places, finds its final destination in Fairbanks, your gateway to the famous Aurora Lights. Let us put it simply. Kincaid Park is an oasis of outdoor activities topped with the scenic views of Denali and Cool Inlet and excellent opportunities to view wildlife represented by moose, black bears, and bald eagles. No need to get outside city limits to reward yourself with a healthy doze of hiking, running, biking, paddling, fishing, archery, and soccer games. Moreover, park’s motocross course allows its adventurous visitors indulge their passion without collecting those unwelcomed speeding tickets. Come the snowy winter, and Kincaid Park transforms into one of the best places for skiing and ski racing. As you can see, your choices are almost unlimited. Potter Marsh is nothing else than a half-mile wooden boardwalk spread over marsh and watery openings. Located in the south of the Anchorage Coastal Wildlife Refuge, this sturdy structure enables its numerous visitors to observe the rich wildlife of Alaska without a need of heavy rain boots and risk of getting covered with the mud from head to toes. With the boardwalk, watching the unique fauna of the area could not be easier. There are only tree requirements to comply with: stay clean and safe, take lots of pictures, and enjoy the company of migratory and nesting birds such as northern pintails, canvasback ducks, Canada geese, horned and red-necked grebes, bald eagles, and occasional moose, beavers, muskrats, and both brown and black bears – the least frequent visitors of the area. Welcome to untouched Alaska so often praised in travel magazines such as National Geographic and Lonely Planet! This is Alaska that you, if you anything like me, put on top of your bucket list a long time ago. 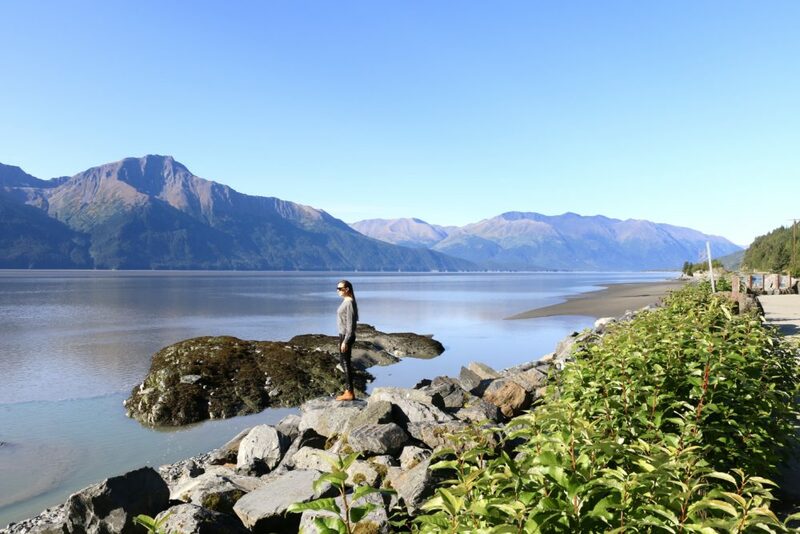 The fourth largest state park in the USA, Chugach State Park, encompasses a diverse terrain of majestic mountains, enormous glaciers, striking lakes, and rivers with the most breathtaking views you might have ever seen. Furthermore, the 495,000-acres park, located about 13 miles south of downtown, houses wolves, moose, bears, lynx (just to name a few) that will look so good on your travel pictures. This is what I call a worth-taking trip! Situated in Chugach State Park east of downtown Anchorage, Flattop Mountain is one of the most popular and climbed mountains in Alaska. Starting at Glen Alps Trailhead, a steep, 1.5 – mile trail winds to a huge, flat peak with spectacular views over Denali and the Aleutian Islands. If about one-hour-hike does not appeal to you, venture to the overlook area that will provide you with no less impeccable sceneries. A bit farther (about 40 minutes away from Anchorage), yet still worth the drive and effort, is located Eagle River Nature Center. 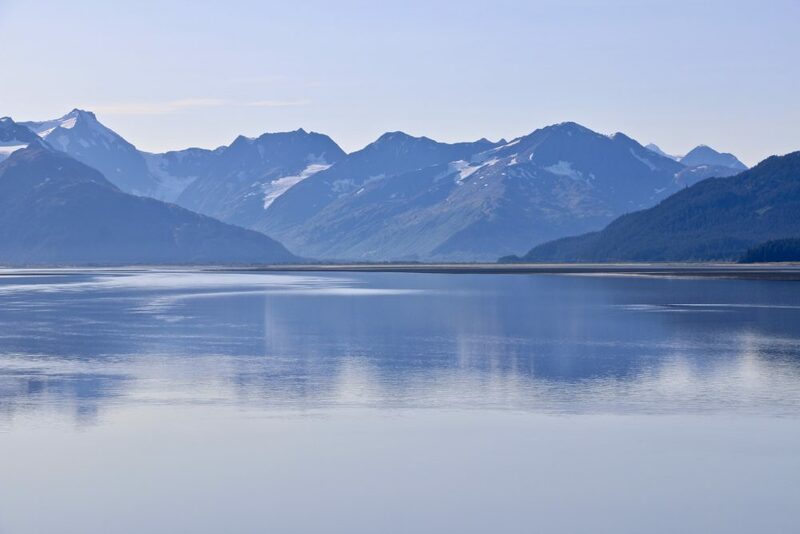 Settled in Chugach State Park, this nonprofit organization aims at increasing awareness and connection with the nature through guided nature programs and information services. If you, however, prefer to take things in your own hands, you are more than welcome to hit the trail without any supervision and explore the beauty of this mountain valley on your own. There is no entrance fee except for $5 per vehicle for parking. You might love or be not so pleased with Anchorage. You might be a hard-core city person. You might be a nature-lover, too. 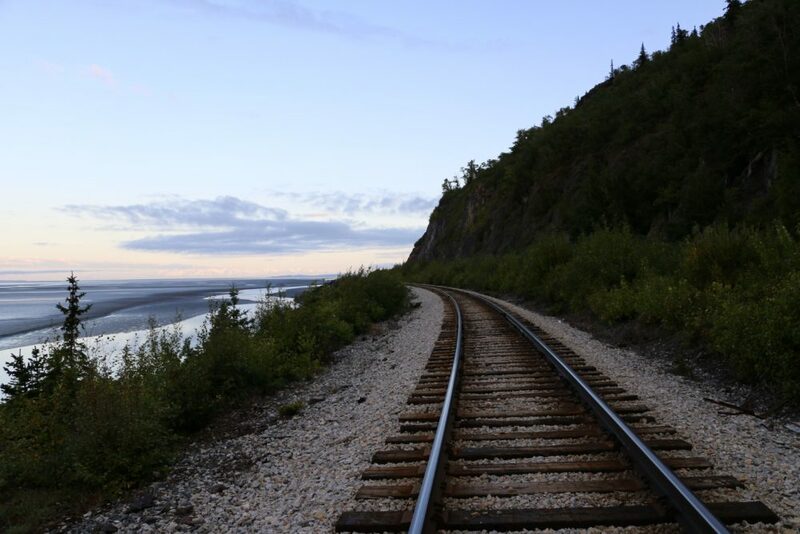 But despite all your preferences, your likes and dislikes, make sure to visit at least one of these seven outdoor places in and around Anchorage. You will thank me later.